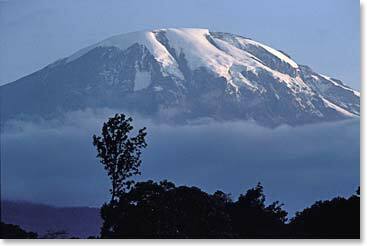 On September 3, friends and adventurers Gilles Gosselin and Yves Comtois begin their climb to the summit of Kilimanjaro. Starting at the forested Londrossi Gate, they will follow the Lemosho Route up through the many different ecosystems on Kilimanjaro as they head towards the summit of Uhuru Peak. Stay tuned to follow their daily experiences as they traverse the wild and scenic Lemosho route. September 12, 2010 – Summit Success: Yves and Gilles on top of Uhuru!